How Do Birds Keep Warm? The last few days have been pretty warm here in Kentucky with temperatures reaching near 61 degrees. It was much needed too because I was about to go stir crazy (along with my little Millie dog) these past few weeks as the temperatures were hanging steady around zero degrees or a little below. That’s too cold to go outside much less to go for a walk as far as I’m concerned. So boy does it feel wonderful!. It won’t last long though because the weather forecast is predicting freezing rain tomorrow evening and then turning to snow….could be 2 to 5 inches before it is all over and to top that the temperatures will be back down to 24 degrees. Of course we can handle it…we have plenty of food, good drinks, and 2 cozy fireplaces to keep us warm and dry. But what about our little feathered friends outside? 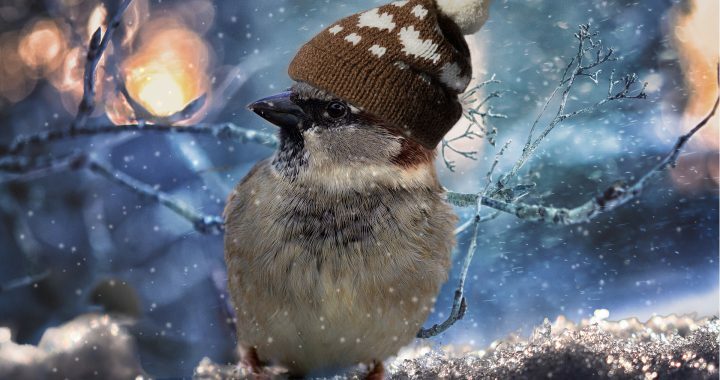 How do birds keep warm in these temperatures? 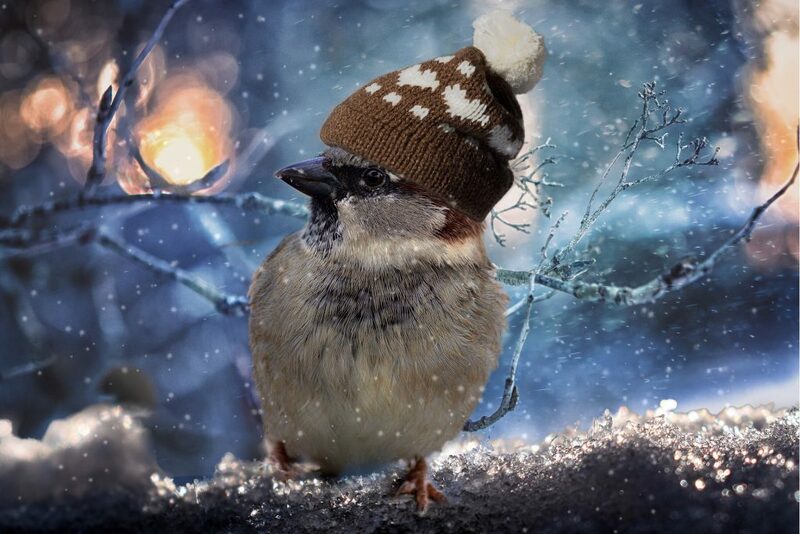 You may think that the poor little birds such as the Chickadee or Wren will freeze to death in such cold weather, but believe it or not they can hold their own. What Do Birds Do To Keep Warm? There are a couple of things that comes naturally for birds that will help keep them warm. One of them is their down feathers. The smaller songbirds such as the Chickadee and Wren for example, have from 1000 to 3000 feathers which are used for insulation. Their average body temperature can get to around 105 degrees. Plus a bird’s body heat warms the air between their feathers so in order to stay warm they fluff up to trap the air in. Birds also have rough, scaly skin around their legs and that limits heat loss. They will also stand on one leg or crouch in order to cover both legs with their feathers. And have you ever seen a bird with its head to one side and tucked under its feathers around its shoulders. It is breathing in the warm air from its feathers and also protecting itself from the elements. Sunning itself is another option for keeping warm for birds. 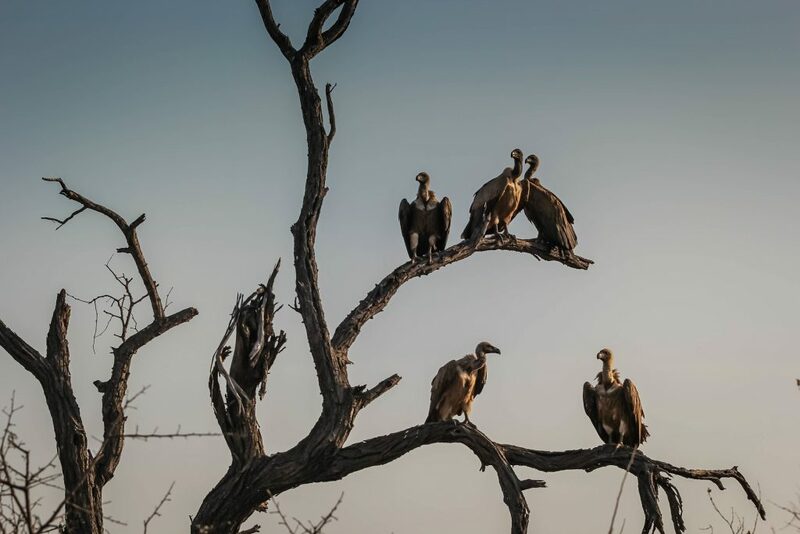 Did you ever see large birds such as vultures sitting up in a tree or high post with its wings slightly stretched on a sunny day? They are using the solar energy of the sun to heat up their feathers and skin. Or you may see the smaller birds resting on a limb with their backs, the largest part of their body, to the sun to keep warm. Birds shiver just like we do. You might not notice them doing this but it serves the same purpose for both, to generate more body heat to keep warm. Did you ever walk outside in your backyard on a cold wintry day and flush a bunch of birds that were roosting in your bushes? A lot of smaller birds like the Tufted Titmice and Chickadees, and even bigger birds like the Mourning Doves, will congregate in large numbers and crowd in a small space in order to keep warm. Smaller birds will also build up a fat reserve in the fall when they know food sources are a plenty. They gorge themselves and give themselves an extra body layer before winter comes. Some birds such as Blue Jays also stalk up by hiding peanuts for themselves to find later. The problem is that other birds or mammals may also find them too. Torpor is another option for birds such as Hummingbirds, Chickadees, and Swifts. This is the ability to drop their body temperatures in order to conserve energy during winter. It is a state of reduced metabolism when the body temperature is lowered, requiring fewer calories to maintain their proper heat. Many birds are able to lower their body temperatures a few degrees but torpid birds can lower their body temperatures by about 50 degrees. 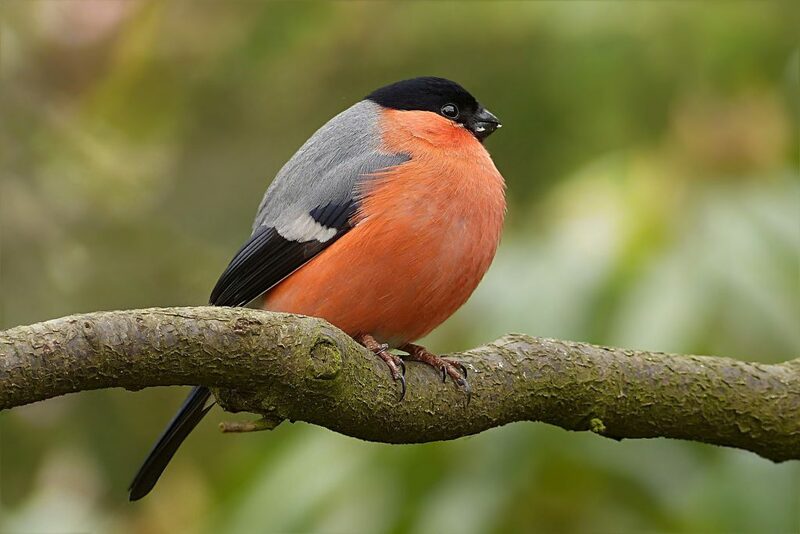 Birds depend on their food sources in order to be able to survive. In winter when the ground is frozen or there is a lot of snow they can’t always get to it. So we can help with that by having bird feeding stations set up in our yard. Suet has fat in it and is a high energy food source. Sunflower and oiler seeds, thistle, supreme nut and fruit mixes, and peanuts are also great for energy for the birds. Scatter seeds in sheltered places for birds to be able to get to it when it snows. Make sure to put seed on the ground for the ground feeders too. Also be sure to replenish the feeders when they get low. Make sure to have a heated bird bath too. Birds need water both for drinking and maintaining their feathers. Bird boxes are not just great for nesting purposes. They are a great retreat for birds to get out of the extreme weather and to stay warm. You wouldn’t think those cute little Chickadees and Wrens were so tough when it comes to extreme weather but they seem to be able to hold their own. It is because of their many layers of down feathers and their body temperatures reaching about 105 degrees which helps them stay warm. Sunning themselves on a nice sunny day, shivering to build up energy, building a fat reserve in the fall which gives them an extra body layer to keep warm, and roosting in numbers are other ways that these birds and other species are able to survive in the cold extreme weather. Feeding the birds suet which contains fat as well as providing other bird seeds such as sunflower seeds for energy are also an extra insurance that our special feathered friends make it through the rough winter. Don’t forget water! Put out a heated bird bath and you will sure to make your birds especially happy and warm! What do you think? If you have any added comments about how birds stay warm in the winter please feel free to do so below. I would love to hear from you! Posted in Backyard Birds, Landscaping For Birds, Songbirds, Woodpeckers.